Patented technology to handle large or compact areas quickly. Available in walk-behind or rider. 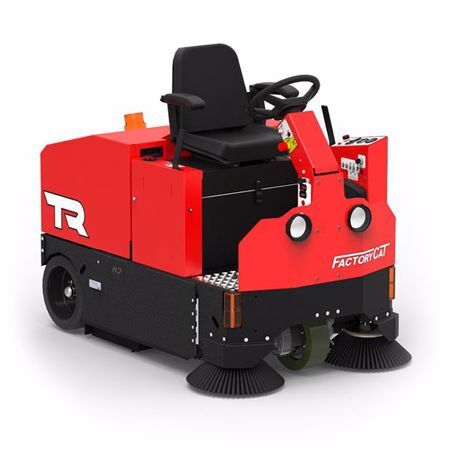 Industrial riding sweepers that are uncomplicated and productive. This model comes with a two-stage cleaning system. Available in walk-behind or rider. 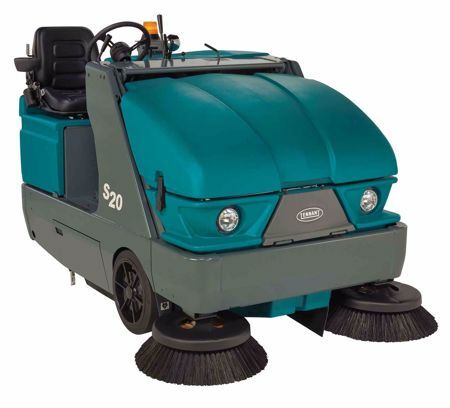 Commercial floor cleaning equipment available in a walk-behind or rider. If you are in the market for a new industrial floor sweeper you have come to the right place! No matter what size or type of machine you are looking for, Factory Cleaning Equipment can provide you with many options to choose from. 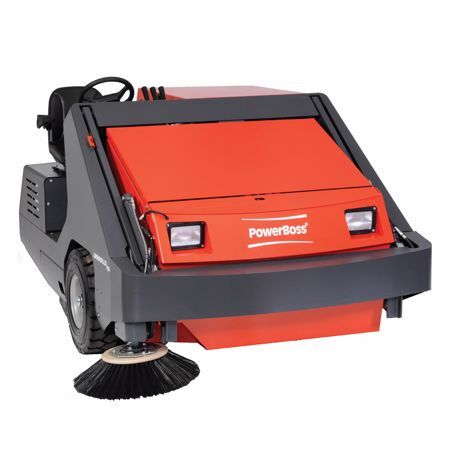 Unlike sweeping with a broom, where dust gets pushed all over the place, our industrial sweeping machines will offer you full dust control. Whether you're cleaning indoors or out, our floor care experts will teach you what you need to know in order to make the right decision. We supply Factory Cat, Tomcat, PowerBoss, and Tennant Sweepers, including both walk-behind and ride-on equipment. 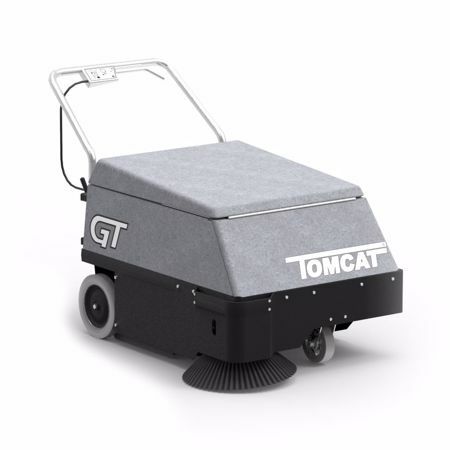 Take a look at our battery powered Factory Cat and Tomcat Sweepers and their built in filtration system and dust control flaps. These features help keep the air clean and free of debris while you sweep. Tennant builds their machines for maximum efficiency both indoors and out. Are you ready for OSHA Silica Dust Exposure Regulations? Get an OSHA Approved Industrial Sweeper. Give your floors the best sweep possible.